Putting university research to work in homes, businesses, farms and communities for over 100 years. Download a print-friendly copy of the 2017 Annual Report (PDF). 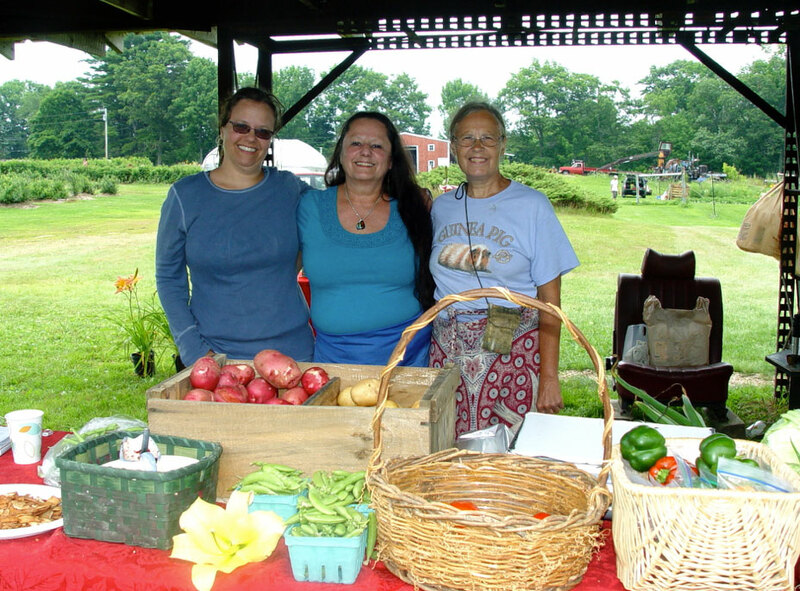 The York County Farmers Network, a farmer-to-farmer organization created by UMaine Extension, promotes, supports and strengthens local agriculture through informal gatherings, demonstrations, information and resource sharing. Visit York County Farmers’ Network for details on recent activities of the network. UMaine Extension Agricultural Specialists provided research based information and educational programs for York County’s 800+ farms, nurseries and greenhouses which gross approximately 35 million dollars in sales annually, and employ 3000+ residents part and full-time. UMaine Extension provided Integrated Pest Management and Soil Test Services for 2,300 farmers and home gardeners: diagnosing insect and disease problems, providing control recommendations, with applicator safety, protecting water quality, and the least toxic approach to control emphasized; diagnosing soil deficiencies and providing corrective recommendations to improve soil quality and increase productivity. York County families and local farms in 2017 grew and donated 60,330 pounds of fresh produce to local food pantries, shelters, and soup kitchens through the Maine Harvest for Hunger Program. 53 Master Gardener Volunteers harvested, weighed, and delivered the produce to 38 food pantries, shelters, senior centers and other agencies servicing low-income residents. In 2017, 173 active York County Master Gardener Volunteers engaged in over 6,950 hours of volunteer time, a $136,000 value. 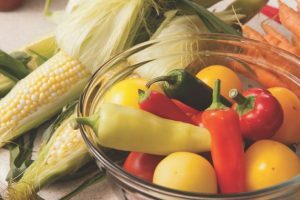 They provided educational outreach workshops teaching others how to grow their own food, and community service projects, reaching 7,200 York County residents. 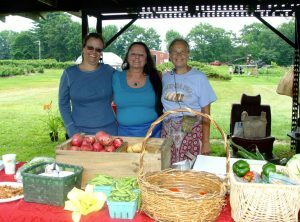 UMaine Extension in York County gardening programs in 2017 included: Youth gardening education; gardening support for senior citizens and people with physical disabilities; invasive plant eradication; educational support for 12 school gardens, coordinating community gardens in 9 communities; and teaching people to grow/produce more of their own food. Maine Hunger Dialogue – UMaine Extension hosted the fourth annual Maine Hunger Dialogue on October 20-21, 2017. This collaborative event convened 85 faculty and students from 13 of Maine’s colleges and universities and one high school. During the Dialogue participants were provided with the tools and inspiration needed to develop action plans and Hunger Alleviation Projects to address hunger on campuses and in communities across Maine. Through our corporate and foundation fundraising, ten campus teams have been awarded $500 mini-grants to implement their Hunger Alleviation Projects, which are focused on areas such as: establishing or maintaining campus food pantries; re-invigorating campus-based community gardens cultivated for local food pantries; establishing food recovery networks to redirect cafeteria surplus to local food security organizations. Two York County Community Education Assistants provided basic nutrition education and food budgeting skills to limited income adults and youth throughout York County in 2017. During the past program year there were 78 families and 617 youth actively involved in learning about low-cost, nutritious food choices, essentials of human nutrition, food preparation and food safety. These programs take place in homes, community groups and schools. Eat Well Program summary data indicate the following for participating youth: 38% improved nutrition knowledge, 47% improved food safety practices, 37% improved their ability to prepare nutritious and affordable food and 22% improved their daily physical activity practices. Summary data for participating adults indicate the following: 92% improved diets, 60% improved nutrition practices, 80% improved food resource management practices and 70% improved food safety practices. In an effort to provide the safest food possible to the 178,000 people who rely of food pantries and meal service programs to feed themselves and their families, UMaine Extension provides Cooking for Crowds: Food Safety Training for Volunteers to teach best practices and to improve food safety to reduce the risk of foodborne illness. Eighteen volunteers from York County participated in these workshops and have been educated on how to safely plan and purchase foods, transport and store foods and how to handle left over foods to prevent foodborne illness from the 588,000 meals they serve annually to Maine’s food insecure population. UMaine Extension has eight trained Master Food Preserver volunteers who are active in York County. These volunteers helped to extend our reach to 47 York County residents in 2017. These residents participated in one of 6 food preservation workshops that were held in Wells, Kittery and Arundel. Presenters taught up-to-date canning, drying and freezing methods to preserve food safely. Topics included: Fermenting Vegetables, Preserving Pickles, Freezing Green Beans, and Drying Vegetables. In 2017, York County 4-H delivered a six-month special interest program in gardening with volunteer support from our UMaine Extension York County Master Gardeners. 24 youth participated in this program. Youth also participated in short term interest and camp programs in Lego robotics, sheep, dogs, chickens, and horses. York County 4-H conducted a six-week afterschool robotics program at Waterboro Elementary School teaching 12 youth, ages 10 – 12, challenge-based programming. None of the youth had previously had any experience using the Lego Mindstorms NXT robots. 86% reported that they gained animal science knowledge by preparing for and participating in the quiz bowl. 14% reported that they may have gained animal science knowledge by preparing for and participating in the quiz bowl. 100% reported that they would attend Eastern States 4-H Sheep Show next year. Club Programs: Traditional 4-H clubs continue to thrive in York County. In 2017 there were 17 active clubs serving 182 youth members, with 61 trained volunteers. Volunteers in various programs provided over 6145 hours of volunteer time. York County youth ages 5 to 18 were enrolled in over 400 learning projects, including animal (horse, beef, goat, sheep, poultry, rabbit, and more), arts & crafts, environmental science, communications, health, and more. Club volunteer leaders working with the 4-H program sponsored a Fall Festival recognition and workshop program with 59 4-H participants. 4-H STEM Ambassadors are trained University of Maine students who facilitate hands-on science, technology, engineering, and math (STEM) activities with youth 8–14 years old throughout Maine. Through 4-H STEM Ambassadors, youth become connected to the research, resources, and scientists at Maine’s public universities. A 2017 Summer of Science site in Biddeford was hosted through a partnership with the Southern Maine YMCA. The Biddeford YCMA ran a 10-week summer camp program, where 4-H STEM Ambassador interns delivered hands-on activities on Innovation Engineering to 283 young people. The program was hosted in partnership with and funded by Maine EPSCoR. By leveraging Sea Grant and Cooperative Extension assets in Maine and New Hampshire, both states are better able to build community capacity. Stakeholder engagement in community planning is a challenge for coastal Maine municipalities. To build community capacity, Maine Sea Grant the 5-part, 20-hour UMCE training “Strengthening Your Facilitation Skills” (SYFS) available in southern Maine. By 2018, over 70 graduates are offering their skills within their communities. Maine Sea Grant has also joined efforts with community development specialists at UNH Cooperative Extension. This collaboration is making it possible for new programming and services to become available to UMCE clients. The two states collaborated to pilot a 3 session, 21-hour, Community Engagement Academy in the Seacoast Region of Southern Maine and NH in April 2017 with a full roster of 30 participants. Additionally, Maine Sea Grant has partnered with UNHCE to develop and conduct a peer learning program to offer SYFS graduates from both states advanced training and opportunities to build a network of co-facilitators. Lastly, Maine Sea Grant and UMCE worked with Cooperative Extension programs in NH and VA to submit a joint application for endorsement of the Strengthening Your Facilitation Skills Level 1 to the International Association for Facilitators, with a decision pending. Conflicts among beach stakeholders including regulators, researchers and coastal property owners initiated the first Maine Beaches Conference in 2000. In 2017, the conference was held for the 11th time to provide a forum for sharing the most current information among diverse beach stakeholders. The region for the conference was expanded to Seacoast NH and the conference planning team was also expanded with NH representatives. The fundraising subcommittee raised nearly $13,200 in sponsorships, and the program committee released a call for presentations, which generated nearly 80 submissions across 6 theme areas. 220 participants attended. Maine Sea Grant has built a partnership with the National Oceanic and Atmospheric Administration’s Office for Coastal Management to develop a new method for estimating the economic contribution of working waterfronts to the local economy. Thirty Maine officials attended an economic-analysis workshop in October to test the methods to pinpoint the economic strengths of their working waterfronts and grow the economy of tomorrow. Using the methods they learned, the City of Portland’s Economic Development Department is documenting the wide-ranging industries that benefit from the waterfront, with the aim of recruiting future businesses. The Sunrise County Economic Council is quantifying all the community benefits of local commercial fisheries. The Washington County Council of Governments is working on waterfront grant proposals, local comprehensive plans, and maritime management updates. York County Extension Homemakers are part of the statewide organization of Maine Extension Homemakers. The purpose of the Homemakers is to help strengthen and extend adult education in the home and community. Extension Homemakers belong to local community groups involved in assisting with many different community projects. During 2017, Extension Homemakers from York County volunteered over 1,890 hours in service to their communities, with an estimated value of $33,200. Also, these Extension Homemaker Volunteers raised and donated $3,450 toward scholarships for graduating high school students. Currently, York County has four Extension Homemakers groups. They are located in Limington, Parsonsfield, Wells Branch, and York. Over 35 members of the York County Homemakers program have had the opportunity to learn with others, make friends, and contribute to their community and county. In addition, local group members come together to form a county group. The York County Homemakers group coordinates spring, summer, and fall meetings for the membership and works in cooperation with the University of Maine Cooperative Extension to offer public educational programs. York County Extension Homemakers membership is open to anyone who is interested in learning new information to improve their personal, family, and community life or who is interested in educating and serving members of the Extension Homemakers groups and their communities. 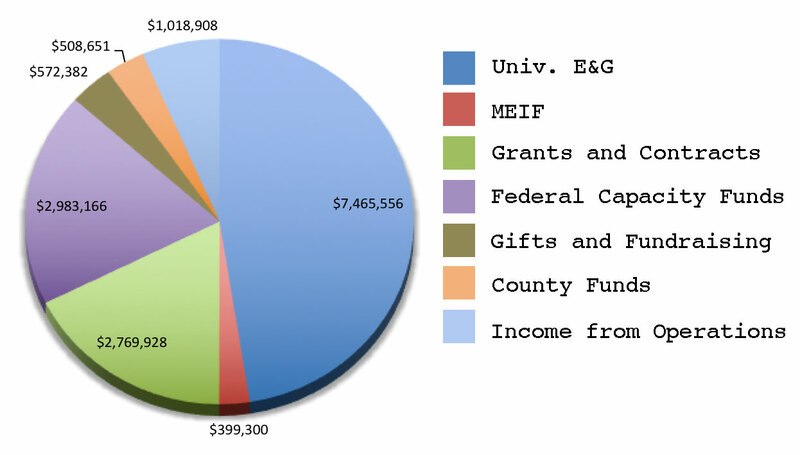 This pie graph illustrates the financial resources for programs offered, supported, and managed out of the UMaine Extension York County office. Each year, York County tax dollars support the UMaine Extension with physical office space, support staff salaries, office supplies, equipment, and some programming expenses. Maine is home to 60 breweries producing over 200 beers, and is a leader in the production of craft beers. Yet most of the ingredients are imported into the state, including the hops that give our products their unique character. Developing a sustainable hops industry in Maine to supply the brewing industry will enhance product appeal and reduce reliance on imported ingredients. 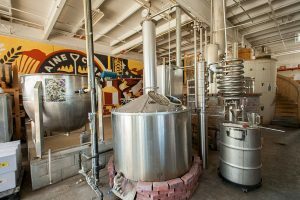 Maine breweries added $228 million to the state’s economy in 2016 and employed 2177 people. Currently there are six Master Farmers in Maine, and five apprentices and WNF apprentices who are completing a two-year, 4,000-hour training program. 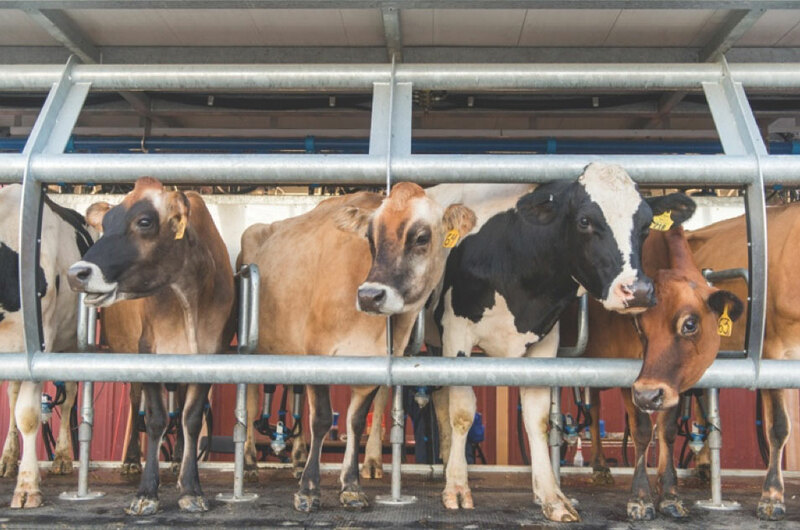 As an example of the utility of the program, a small organic dairy farmer recently was severely injured in a farming accident. WNF was able to work with Organic Valley, Extension, and the DGA program to provide trained apprentices to the farm to enable it to stay in business during the farmer’s four-week recovery. Without DGA support they likely would have had to sell the cows. The Cooperative Extension Diagnostic and Research Laboratory serves the state’s veterinarians, livestock producers, and animal owners by performing diagnostic services that include necropsy, microbiology, virology, pathology, and special research support. Through Extension it links with industry to help control animal health related problems. 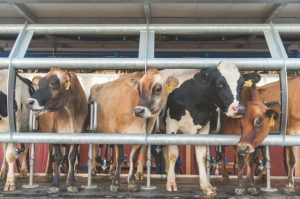 A new Cooperative Extension Diagnostic and Research Laboratory will expand services to serve Maine’s over 8,000 farms. Maine has a poultry industry worth $38,983,000. For any of Maine’s 8,200 farms that raise hens to sell eggs, testing for salmonella, especially Salmonella enterica subspecies enteritidis (SE), is a prudent plan. Mid- to large-scale farms are required by the FDA to test their environment for SE. UMAHL’s National Poultry Improvement Plan (NPIP) certified salmonella testing allows Maine poultry farms to meet FDA standards for Salmonella enteric enteritidis (SE) screening. Economic sustainability of farms is a daily issue faced by farmers, who understand that profitable farms are sustainable farms. Consumer purchasing power can significantly impact the profit base for farmers. Home food preservation education programs can increase consumer sales and ultimately profitability of farms by influencing point of purchase consumer behaviors to preserve (freeze, can, dry) fresh produce to use in the “off-season” to increase access to local foods. Current farmers thinking about changing farm enterprises and new farmers interested in starting a farm often lack skill, knowledge and confidence in areas such as access to capital, rules and regulations affecting agriculture operations, and marketing. 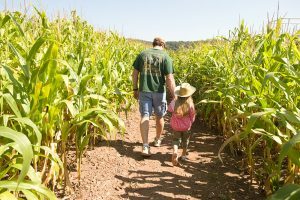 Since 2011, UMaine Extension has provided diverse educational outreach through its “So You Want to Farm in Maine” series to enhance the skills, business management knowledge, confidence of new and established farmers. Extension programs are live, live-streamed and archived, and have reached 754 participants from all Maine counties and out-of-state. Topics include agriculture enterprise selection, business planning, record keeping, market research, regulations, and resource identification. The series trains people to pursue farming as a viable career option. 69 percent increased knowledge about the importance of developing a business plan and the items a farm business plan should include. 67 percent increased knowledge about where to look for resources and information about their farm enterprise of interest including web resources, government agencies, universities, and other organizations. 67 percent increased knowledge about production and financial recordkeeping and the different methods that can be used including paper and electronic records. 64 percent increased knowledge about market research techniques that they could implement to refine the knowledge of markets for their agriculture products. 56 percent increased knowledge about the rules and regulations affecting agriculture enterprises and the agencies that enforce them. Many students have already implemented new practices. As a result of attending the program the number of farmers increased from 27% to 73% and 3-4 people worked on the farm. In the fourth year, when the training qualified as FSA borrower training, farmers with FSA loans were able to complete their loan requirements and received nearly $313,000 in farm loans. 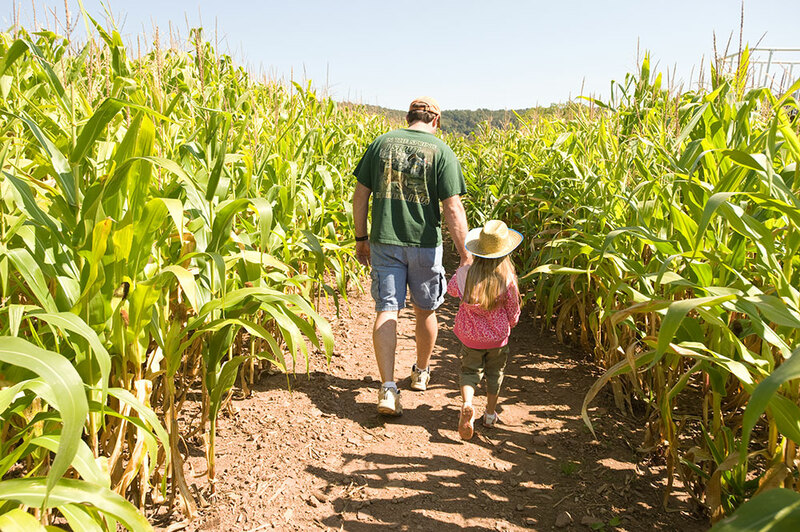 The $500 million potato industry is the largest agricultural sector in Maine, encompassing over 500 businesses generating over $300 million in annual sales, employing over 2600 people, and providing over $112 million in income to Maine citizens. The management of insects, diseases, weeds, and other pests is integral in sustaining a healthy Maine potato crop. 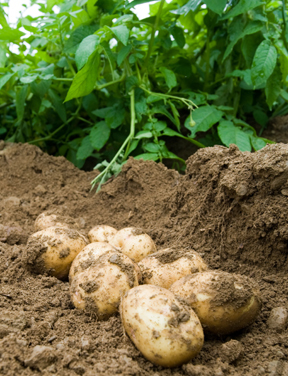 Potato growers are increasingly relying on a multidisciplinary Integrated Pest Management (IPM) approach to ensure that Maine’s potato crop is pest and damage free while attempting to minimize the amount of pesticides that are applied. UMaine Extension’s Potato IPM Program impacts Maine’s 300 commercial potato growers and 48,000 acres of potatoes and has become an integral part of the Maine Potato Industry. The program also broadly impacts national and international growers who rely on the state’s seed crop. The project maintains nearly 100 specialized insect traps, coordinates a statewide network of electronic weather stations, and surveys 75 potato fields on a weekly basis for weeds, insects and diseases. IPM scientists track potential pest outbreaks to provide growers with current information on treatments to minimize the number of pesticide applications and maximize potato yield. The goal of UMaine Extension’s Food Safety programs is to ensure a safe food supply while reducing foodborne illness risks by teaching proper sanitation, food preservation, and food-handling practices. To that end Extension educators, specialists, and professionals conduct a variety of programs for Maine citizens and food businesses. In 2014, a gourmet gelato business, Gelato Fiasco, was operating out of a small commercial facility producing about 2,000 units a day, with 10 full time employees. The business’ sales had increased and they required an expansion of their current facility. As a result of the workshops, recommendations were made to the community’s redevelopment plans. Community planning and actions provided the town with new resource and ideas, and a vision for the future that has attracted significant funding and investors. The Town applied for a U.S. EPA Brownfield Program grant, and was awarded $600,000, the largest single site grant in the history of the Brownfields grant program nationwide. The first three years of a child’s life are a critical time for growth and development. Investing in children, starting with the earliest years, produces significant long-term impacts for individuals and communities from reduced child abuse and neglect, lower health care costs to school success and better employment. UMaine Extension Parenting Education Professionals are part of a statewide network of Maine Families Home Visiting Programs. In 2017, Extension’s two Maine Families Programs were endorsed by the Parents As Teachers National Center as exemplary Blue Ribbon Affiliates, delivering high-quality services to children and families. This makes both programs among the top performing early education and home visiting affiliates within the international Parents as Teachers network. Families receive services including home visits, group connections, child screening and connections to community resources, knowledge and resources to prepare their children for a stronger start in life and greater success in school. 79 percent of infants were breastfed at 6 months. 93 percent of primary caregivers were screened for depression. 91 percent of caregivers who used tobacco at enrollment received tobacco cessation referrals. 100 percent of children with positive screens for developmental delays received services in a timely manner. All enrolled families were assessed for basic needs and referred to services as appropriate. Extension Homemakers is a volunteer group that develops leadership skills, supports community causes, and promotes UMaine Extension’s educational programs in nine Maine counties. These organized programs are part of the statewide network of Extension Homemakers that participate in educational programs, and identify community projects, such as providing assistance to local food pantries or nursing homes or veterans groups, funding educational scholarships or youth camp programs. In many Maine counties Extension Homemakers remain a traditional and vital part of the community fabric. They provide direct and indirect benefits in terms of volunteer hours, fundraising, and material donations. In 2017, the total estimated monetary value of the Extension Homemaker program to their communities was over $541,000. In 2017, 80 student and staff from 14 campuses attended the Maine Hunger Dialogue where they developed new partnerships, assessed community needs and assets, and set goals and steps to reach them. Eleven teams successfully applied for Maine Hunger Dialogue grants to support new and existing initiatives. Teams used the funds to develop food recovery networks, initiate food pantries and resource hubs, donate fresh produce to food insecure students, conduct food drives and hunger awareness initiatives, host cooking on a budget and nutrition courses to food insecure adults and children, supported income refugee and immigrant residents with a healthy cooking workshop series, and helped build capacity between students and local Native American residents through providing a nutrition and food preservation workshop series. 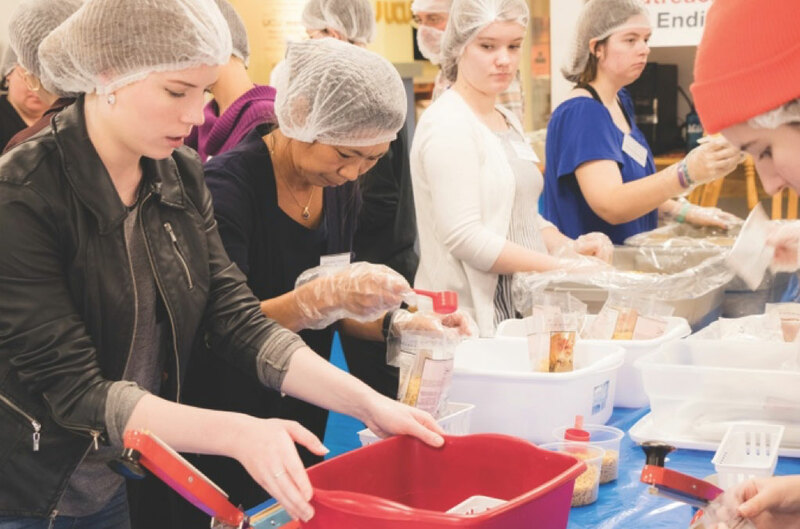 “Meal food pack-outs” (packaging healthy nonperishable meals) held at UMaine packed 107,562 meals that were distributed to food insecure students and community members. The UMaine School of Economics and UMaine Extension examined the economic impacts of cruise ship passengers visiting Bar Harbor. The study found that cruise ship passengers spent an average of $108.21 on goods and services in the town of Bar Harbor during 2016. The total annual economic impact of cruise ship passenger spending, including multiplier effects, was over $20 million in sales revenue throughout the Bar Harbor area. Economic activity associated with this spending supported 379 full- and part-time jobs, and provided $5.4 million in wages and salaries. The results of this research were presented to the Bar Harbor Town Council, posted to the town’s website, and widely disseminated through television, radio, newspaper, Internet, and town meetings. Small business merchants in Bar Harbor have found the report very useful to their cruise ship passenger marketing efforts and local policymakers have used it to educate the public about the economic importance of cruise ship tourism to the Bar Harbor economy, especially during the shoulder seasons. 4-H Camp and Learning Center as a community service project. Statewide in 2017, Maine’s Tech Wizards program matched 275 students with community mentors in 7 schools. Students participated in ongoing fieldwork, citizen science initiatives, and service learning and were empowered to engage with their communities and contribute their time and skills to address important scientific questions, and to recognize that environmental stewardship is both the platform for their learning and an overarching life ethic. 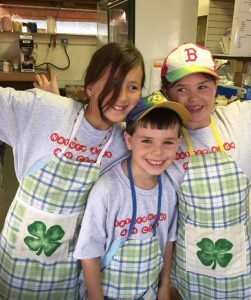 UMaine Extension implemented the national 4-H Youth Voice: Youth Choice program to mobilize under-served youth to take action around nutritional deficiencies, healthy food choices, and physical activity. The goal is to to train 50 teen teachers to educate 2000 underserved youth about nutrition and physical activity, to change knowledge, attitudes and behavior so youth will make healthy food, physical activity and lifestyle choices to reduce the risk of obesity and chronic disease later in life. A second goal is to create supportive community environments where healthy lifestyles are the norm. 88 percent reported eating more fruits and vegetables. 66 percent reported eating less junk food. 71 percent reported drinking less soda. 88 percent reported drinking more water. 93 percent reported learning cooking skills to prepare healthy foods at home. 91 percent reported eating more fruits and vegetables. 81 percent reported eating less junk food. 70 percent of youth participants reported being physically active for 60 minutes every day. 90 percent agreed that being active is fun, and will help them stay healthy. Through this program, youth ages 8-14 come to view these Ambassadors as mentors and leaders in their community while also developing skills in STEM through hands-on activities. The program increases student leaders’ knowledge, and ability with facilitating STEM activities. It also increases university engagement in local communities that UMaine has not traditionally reached. Youth were excited that someone from UMaine came to share STEM activities. Student participants reported that without this program their instructional time with STEM would be reduced. As a result of this program participating youth have demonstrated positive attitudes, increased knowledge, and expanded interest in STEM and STEM careers.